It is necessary to exclude the possibility of privatization, individuals functions are Maritime safety and national security functions at sea. Russia needs modern Service for ensuring and monitoring the safety of navigation on the level of advanced countries. There are areas which are traditionally provided by the state and cannot be privatized by individuals. The opportunity in the legislation to exclude in principle. We will focus on Maritime security, key part of which is – pilot support. A pilot community is small and elite Maritime special Maritime caste. Pilot service based in ports. The pilot first meets the ship on the approach to the port and ensure its entry into port. While on Board the vessel and carrying out the pilotage, the pilot controls the movement and maneuvering of the ship in difficult conditions, and also performs the duties of a public law nature - the relevant authorities, he is obliged to report any changes on the fairways, which can endanger the safety of navigation, any incident with the ship, the pilotage of which he carries on or the other courts in the region served, the failure of the captain of the vessel of navigation rules, or rules for the prevention of pollution from ships. Pilot assistance guaranteed by the state. It should be continuously organized in all ports without exception. The country's national security largely depends on smooth, safe operation of ports. insurance risks and cover the costs of unprofitable pilotage services. Non-state pilotage organizations and individual entrepreneurs, when the pilots receive a pilot gathering themselves together in the entities themselves, under the control of the state, provide the function of pilotage in the port. In this case, their activities in all aspects are strictly regulated by the special law of the country and carried on non-commercial principles in the format of a single system (for example France, Spain, Netherlands, Belgium, Germany). Competition in one area of compulsory pilotage as a factor lowering the priority of the safety of navigation is not allowed today in most EU countries, Japan and USA, which are the cradle of capitalism and competition. After the collapse of the Soviet Union, when state-owned fleet was sold off and went under a foreign flag, the country lost its shipping, shipbuilding and ship repair, ports eked out a miserable existence. By the mid-2000s, the state let go of control in many strategically important areas, including in a pilot sector. The pilot was removed from the management of the pilot organizations. It was struck at sea the elite of the country. If you trace the history of the pilot case in Russia since Peter the great, we find that in periods when government pilot services and organizations (cooperatives, companies, partnerships, etc.) were themselves pilots, pilotage business in Russia has developed successfully and harmoniously. In contrast, when it left the hands of the pilots, a pilot sector stagnated and losses. In foreign countries by themselves the pilots are busy in managing their organizations, and this tradition has not been interrupted. In 2004, the decision of the constitutional Court of the Russian Federation (from 06/04-2004 n 7-P) in Russia, as it is in most countries, was permitted activities of non-state pilotage organizations. However, legally this activity is not regulated until now, the Decision of the constitutional Court are not implemented. This loophole was used by the business. In profitable and the most profitable oil ports were commercial entities whose owners are not pilots. These private companies are paying in your income almost half of the pilotage of the country, and stop trying to translate a pilot activity in the category of business and the free market. Today in Russia a pilot services provided by FSUE Rosmorport, FSUE Hydrographic enterprise. And also more than 20 private pilotage companies, the vast majority of which does not have its own fleet of delivery vehicles pilots, and the insurance cash Fund to cover damage in the event of an emergency incident. In Russia there are about 800-1000 pilots, more than half of whom work in the FGUP Rosmorport. From 2017, a pilot tariffs released. Currently not formed a unified country system pilot services in the ports and waters. Not formed a Competent pilotage authority, which requires the IMO Resolution A. 960(23). A pilot community of our country does not participate in international cooperation within European and International associations of pilots. There is no single professional Association. The tradition of the pilot brotherhood, for centuries exists in the Maritime countries of the world. The situation with staffing issues to date disappointing - among the pilots are a little young, average age 60 years. In the face of FSUE Rosmorport for the last few years, the state annually brings hundreds of millions of rubles of losses on pilot activities. One of the main reasons of these losses that the private pilot companies operate exclusively in ports where there is profit, but the FSUE Rosmorport guarantees and provides pilot support on behalf of the state all types of ships in all, including seasonal unprofitable ports, performs the low-budget work. It turns out that private companies, investing a multiple of the less expensive get much more profits on high-yield transactions. In some ports the rate is clearly too high for the amount of profit for the owner of a private company, in others insufficient for break-even operation of a pilot service and its development. Apparent paradox when the state provides the demand and profit (market) private pilotage companies. Pilotage dues is guaranteed by the state commitment of the transaction. The responsibility of a pilot of the organization to third parties is limited to article 103,104, 105 KTM. A pilot organization in Russia, not certified, not licensed, there is no National standard. Commercial organizations operate on business principles and competition, profit comes first, then the safety of navigation and social situation of the pilots. The costs are covered by the more labor intensive pilots and reduce the payment by increasing the amount of tonnage per pilot. Save on everything, transforming pilots from the elite caste of artisans. In this case, requires a completely different optimisation is not due to the work of the pilot for wear and dumping tariff, for example – by reducing the intermediary level agents. In all spheres of the economy comes to digitalization. However, the email queue lipovaca in our ports are still not implemented. The captain of the port exercises control over the different principles and parameters lipovtsy and may arrange the electronic part in accordance with the Position. 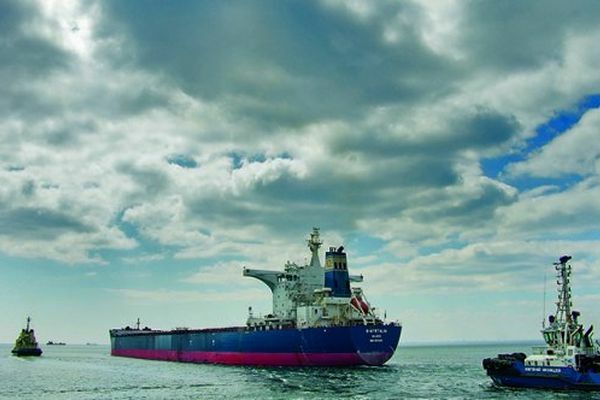 To reach break-even, the method of calculating the pilotage tariff needs to be revised. In the cost you need to consider the type of vessel, the complexity of its wiring and the danger of the cargo. The big question is who will subsidize beneficiaries, if any, will continue - the state either through the reallocation of outperformance transactions. There is a line of the court, when the captain several times a day comes into the same area and pilotage in such case, the excess. While in Russia, private companies are thinking about how to extract more profit, and Rosmorport as to cover the losses, nobody thinks that in a short time the safety of navigation will be a single complex, have integrated in Maritime cybersecurity and coastal VTS (vessel traffic control). Digital the reality is that any USB flash drive or smartform is a potential danger to the vessel, can lead to blocking of its systems, the distortion of course, the terrorist threat and other issues. And this must be at the level of advanced countries of the world, but rather on a step or two ahead of them. Every detail is important – personnel, fleet, equipment, simulators, guidance systems, principles, models, technology. It should be noted that the work of the pilot electronics in the near future will not replace, but if it's even going to happen in the distant future, in a living space for equipment necessary to control. Option # 1. A pilot operation is completely carried out FLS. The service is managed at all decision-making positions on the main activities of pilots of the highest qualification (Competent pilotage authority), which all current pilots are distributed across the ports and work as part of pilot organizations-units of the Service that meets the national security interests of the state. Option # 2. Pilot activities are carried out by associations of pilots. In ports, working under government contracts with FLS only a pilot non-profit organization, managed by the pilots. Pilots can create their own non-profit organization in ports in areas with the purpose of obtaining a state contract. Option # 3. In some ports, may remain private commercial organization, as it is now, but they will work strictly on the contract with FLS based on their many years of positive experience in these ports. The state clearly define and consolidate share of business in the sector. These private companies can be integrated into a single state system of the pilot (the unified state system of ensuring safety at sea). However, it should be borne in mind that in this case, a pilot collection remains almost completely whole from private owners and lost state, except taxes that are an obligation and they actually are paid from the funds of the public services. Safety of navigation may conflict with profit. Commercial companies can only be under partial control by the state, because, or private capital with interest in the form of profit or interests of the state in the sphere of security and income from pilotage. Some of these risks can be withdrawn by the conditions spelled out in goskontrakt. Where in the port of several organizations, competition remains one the amount of mandatory criteria of the contest in accordance with the later developed National Standard and industry development plans. In the first embodiment, 100% of pilotage fee from receiving the Service, the second and the third variant - the percentage of deductions from the financial revenue of the organization in Service may stipulate conditions of the contract (the benchmark is 10%). FLS can subsidize the loss-making company due to the profitable. The service can be a founder pilot organizations. Such organizations become units. In the second and third options to fit private pilot service, emerging in recent years as part of larger companies because such trend has emerged. The state contracts with organizations Service concludes for a certain period (3-5 years) with a possibility of extension in case of absence of violations and circumstances of force majeure. If you prescribe that the sole beneficiary of pilotage is a state in the face of FLS, three options become essentially one, and we actually come to a common variant of the organization of pilotage service in Russia. In ports where neither the pilots nor the merchants do not wish to engage in the creation of a pilot service, such a service is created most FLS. In ports where pilots are ready to create your own pilot service and sign a contract with FLS will run a pilot organization created by pilots. And in ports where pilots think that it is better to work in a pilot organization established by merchants, FLS enters into a state contract with a commercial pilot to the organization. Thus, to solve the main problem of competition. Regulation and control of the pilot activities is securely attached with the state. Ideally, each port will operate one pilot organization with which FLS will conclude the state contract. The service publishes and develops the national standard of the pilot provision in the Russian Federation (it is converted to the current regulations on pilots), issues licenses for implementation of activities of pilot organizations (due to requirements of organizations, requirements for personnel, logistics, and requirements for handling information related to national security). Certification training pilots, their training, training and logistical support is provided to international standards. Fleet and logistics mainly it is on the balance of Services in its management. Service special serial the leasing program is in progress for the construction of a specialized pilot activities of the fleet (landmark - ports 60 and 6 boats per year). Funds from the budget required in the initial phase of the Service (roughly within 1.5-2 years). In the future, the Service contains the means pilotage. I want to emphasize personnel principle: the overwhelming share in the management of Services, and pilot organizations pilot. The competent pilotage authority is formed only from existing pilots of the highest caliber, having experience as a pilot not less than 10 years to the mandatory rotation of about 4-5 years. Renewable international cooperation of the Russian pilots in the composition of IMPA and EMPA. Federal pilotage service is a Federal body of Executive power exercising functions on control and supervision of pilot activities and special functions in the area of public security, the protection of sea and environment and the port infrastructure in the Russian Federation. Federal pilotage service is subject (subordinate) to the Ministry of transport. Federal pilotage service is headed by the Director. The head of the Federal pilotage service and his deputies are appointed by the Minister of transport on presentation of the Russian League Pilots. The powers of the head like the head of the Federal service of the relevant submission. The territorial units of the Service at the pools. d) issuing internal regulations relating to pilotage activity in the Russian Federation. C) application of other compulsory measures not related to the Commission of the offense, as a rule, to ensure protection from emergency situations of natural and technogenic character, the human factor (the gap the state contract with the contractor, for example, because the actual characteristics of enterprise management, creating a threat of an emergency or violations of the conservation of information). d) organise the renewal of the fleet, means of delivery, etc. logistics in accordance with the separate state program and their lease of executors of the state contract. The main activities of the Federal pilotage Service is directed on qualitative training of pilots and trouble-free implementation of pilotage services in the waters under the jurisdiction of the Russian Federation. The main activities of the Federal pilotage service may be on a state contract, concluded for a certain period with the organization for the implementation of a pilot or training activities. The executor of the state contract for implementation of the pilot activities may be a non-profit organization created by the national League Pilots, conforming to the requirements of the National Standard and licensed to carry out pilotage activities and training of pilots in the Russian Federation. The executor of the state contract for the implementation of learning activities can be any organization or enterprise of any form of ownership that complies with the National Standard and licensed to carry out training of pilots in the Russian Federation. (This is including information about cyber security, about the respective mode of admission). Financing of core activities the Federal pilotage service is carried out at the initial stage at the expense of public funds in the future – at the expense of pilotage received from ships, pilotage of which is (part of the pilotage fee payable to the organizations-executors of state contracts for the implementation of pilot activities in the Russian Federation, license and rental fees from the funds a pilot delivery). Structure of the Federal pilotage service for the main functional activities are called Departments, which may enter the functional departments. In the Federal pilot service, includes the territorial bodies of territorial Administration, distributed across the sea basins of the Russian Federation and areas of pilotage. The device is in the manual (Secretariat, advisors, office). The competent pilotage authority. Responsible for General administration of all pilot activities in the waters of the Russian Federation, in particular, the distribution of pilots, and organizations in ports and areas of mandatory Postings. Department of standardization and licensing. Develops and implements national standard pilot activities in the Russian Federation. Maintains a register of pilot organizations. Responsible for licensing and certification organizations. Financial management (accounting Services, planning and economic Department, internal audit Department). Provides accounting functions Federal pilotage service. Provides financial planning, develops the method of calculating the rate of services, regulate tariffs, taking into account national interests. Organize voluntary and mandatory audits of companies engaged in pilot activities. Supervises insurance and reinsurance (if necessary, because the sum insured in case the insured event is significant and should be calculated based on the practice of compensation) risk pilot activities. Management of logistics. Responsible for organization and maintenance of the state program on the logistics of the pilot activities (fleet, transportation, fitness centers, etc. property). The office of personnel. Provides full HR support to the Federal pilotage service. Maintains a roster of pilots. Responsible for the training, certification of personnel pilots. The legal Department. Provides full legal support of pilot activities on the territory of the Russian Federation and Federal pilotage service, conducting anti-corruption examination of legislation, regulations, normative and other acts and instruments for the pilot activities, the organizations implementing pilot activities in the Russian Federation. Management of public relations. Provides information Service to interact with the external environment (including international cooperation).